Hospitals in England which currently ban doctors and patients from using mobile phones have no reason to do so, the government has said. Restrictions have been in place in many trusts because of concerns phones could interfere with medical equipment. But an NHS regulator said last year phones could safely be used in some areas away from sensitive equipment. Health minister Andy Burnham said on Wednesday there was now "no reason" for an outright ban on mobiles. The advice published by the Medicines and Healthcare Products Regulatory Agency (MHRA) said mobile use should be restricted only where specialist equipment was used, as in intensive care and specialist baby units. But many hospitals still have complete bans. In evidence to the Commons Health Committee last year, Ofcom suggested some had kept the outright ban because of pressure from the companies operating their bedside phone services. In many cases hospitals are locked into long-term contracts with private providers, in which it is believed they have promised to restrict mobile phone use within their buildings. 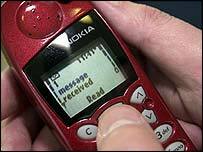 Mr Burnham said: "As technology has moved on it is right that we update our guidance on mobile phones to reflect that. "We recognise that patients and staff should be able to use mobile phones, where it is appropriate to do so and subject to medical and privacy considerations." He added: "I see no reason for trusts to have an outright ban on mobile phones - especially in communal areas - and our updated guidance will make that clear, although, NHS Trusts are responsible for formulating their own policy on mobile phone usage." Sharon Hodgson, Labour MP for Gateshead and Washington, who led a campaign to lift the mobile phone ban said she was "delighted" it would be easier for patients to use their phones in hospital, rather than having to rely on expensive bedside systems. She added: "People who are in hospital, especially for long periods, desperately need to keep in touch with their friends and loved ones. Anything that cheers them up is also medically useful." Dr Gill Morgan, chief executive of the NHS Confederation, which represents over 90% of NHS organisations, said: "It is up to each individual NHS trust to draw up their own policy in relation to the use of mobile phones on their premises. "I'm sure updated guidance from the Department of Health on this area will be welcomed." She added: "When drawing up their mobile phone policy, trusts also consider potential noise disturbance caused by the use of mobile phones in hospitals. "Mobile phones can often be intrusive and technological advances mean that increasingly phones have cameras and recording devices." Barbara Wood, chair of the British Medical Association's Patient Liaison Group, said: "Research has clearly demonstrated that mobiles pose little or no risk to hospital equipment. "We welcome the fact that trusts are being encouraged to allow patients and staff to use them, although this needs to be done in a way that does not affect other patients' right to peace and quiet." Members of the Patient and Public Involvement (PPI) Forums have campaigned for bans to be lifted. Dorothy Henley, chairwoman of the Gateshead Hospitals PPI Forum, welcomed the government's move, but called for more clarity on what concessions would be made. "Our understanding is that these may be slight and in some cases limited only to areas such as public corridors, hospital cafes and staff accommodation."